Dreamspider Publicity and Events wants to let you all know about Scout66.com, a premiere site for live concert reviews from the most decisive component in the performing arts – the audience. Never before has the relationship between the audience and performer been so important. This is a back to the future concept, a grassroots movement empowering the audience and the performer, prolifically illustrating that indie music is for all ages and all styles of music.This is a great site to get information in artist tour dates, shows by state, shows by genre, and live reviews by the audience! Scout66.com is also now linked up with ArtistData.com, which if you are a touring musician, you may already have found to be an invaluable resource for distributing your artist news and tour dates. It is easy to link up your artist data account to feed to Scout66. 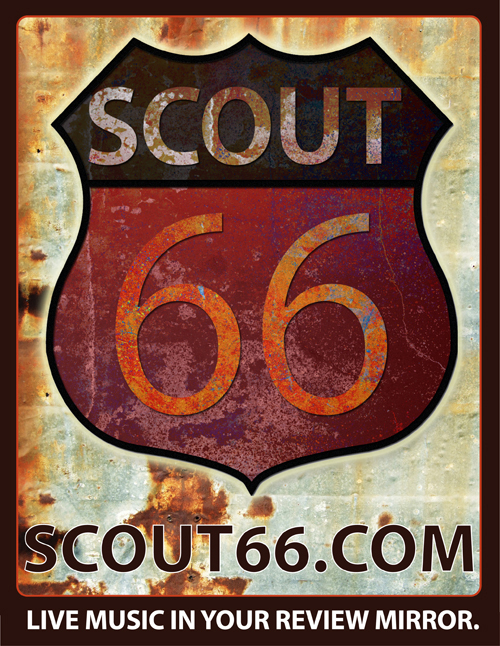 Just register for a free Scout66.com account as an artist, reviewer, or venue. Then as soon as you register an ID code will be given to you to plug into your Artist Data account and activate. If you are not yet on Artist Data, now is a great time to sign up. Both sites have great tech support and are easy to use. Artist Data can also be found on Facebook/ ArtistData, Twitter as @ArtistData, and through the Artist Data Blog. Check out Artists Data’s blog welcoming scout.66.com to the network. Wow, a lot of new musicians have signed up to use Scout! This is great as it helps build the online community of musicians who’ve been with us for a while, and supports everyone’s efforts. The more shows, reviews, and artists who participate, the more successful everyone will be. Active participation is required for music to survive. Scout was designed to fill the void where media can no longer afford to review live performance. And isn’t it much more satisfying to have several people write about your performance than just one who may or may not tell you something good? Scout is an independent impartial archive you can recommend new venues go to read what people have to say about you, your music, and your performance. Make full size copies of the Scout logo to have at your merchandise table. It’s a great conversation piece and educates your fans where to write reviews for you. Include the Scout logo on your website with a link, so fans just drop in on Scout and write a few kind words about what your music means to them. Add the Scout logo to all your correspondence to fans, whether it’s email, postcards, included in links on Twitter, LinkedIn, Myspace, Facebook or any other way you keep in touch with fans. Ask your audience from the stage to contribute to your career by writing a little bit about everything they heard, saw, and felt during your performance. Here’s a performance of Donna the Buffalo’s “Movin’ On” shot at the Orange Peel in Asheville, NC. It was filmed on January 28, 2010 for Mountain Xpress. The video was shot and edited entirely by Jesse Ham. Enjoy! After 20 years performing together as co-leaders of Donna the Buffalo, Jeb Puryear and Tara Nevins’ onstage banter often could be mistaken for the playful chiding one might hear between a married couple, long after the honeymoon phase is over. 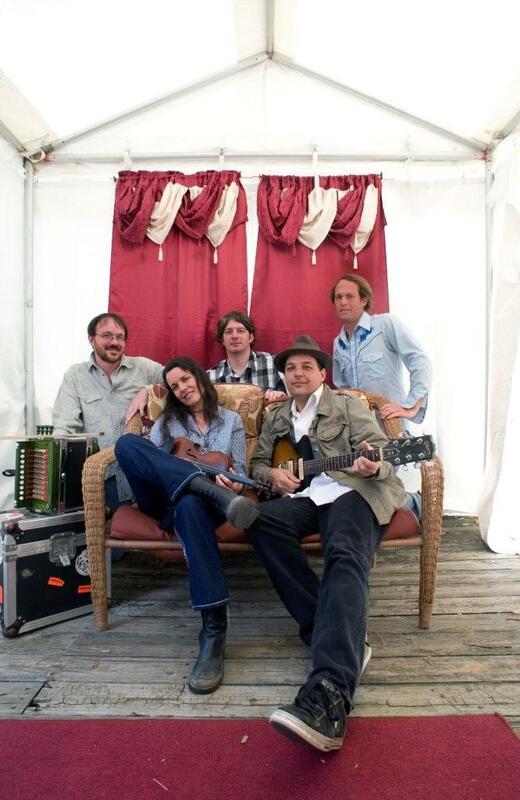 In 2009, Nevins added to the Upstate New York band’s famously faithful fanbase (“The Herd”) by touring with BK3, the side project of the Grateful Dead’s Bill Kreutzmann, on backing vocals and fiddle. They’ve recently toured with Little Feat, and 2010’s schedule includes dates with Hot Tuna and Railroad Earth and stops at popular festivals such as MerleFest, Suwannee Springfest, and LEAF. “We’ve been lucky to have an audience that likes what we do,” says Puryear. 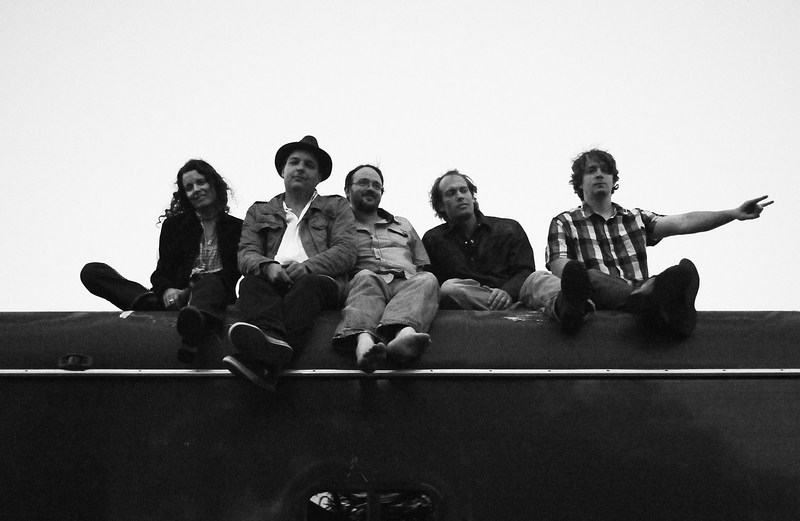 The band supports taping and sharing of their live show recordings, and The Herd comes out en masse to Donna the Buffalo’s own homegrown festivals, Shakori Hills in North Carolina and Grassroots in New York. And these days, almost no one ever mistakenly addresses Tara as ‘Donna.’ “Less and less, thank god,” she laughs. But after two decades on the road, how well do Puryear and Nevins really know each other? Preview put them to the test with a classic Newlyweds-style round of cross-questioning. Q: What song has Jeb/Tara always wanted to secretly cover? Tara: Geez, I don’t know. Jeb: “Take It Easy” by the Eagles. Score: Jeb 1, Tara 0 (Jeb picked “Everyday People” by Sly & the Family Stone). Q: What is Jeb/Tara’s biggest guilty pleasure on the road? Jeb: She likes to have her cocktails. Score: Jeb 2, Tara 1. Q: Does Jeb/Tara have any insecurities on stage? Q: If Jeb/Tara could only play one festival next year, which would it be? Score: Jeb 3, Tara 3 (Tara would play the Telluride Bluegrass Festival). Q: What band would Jeb/Tara’s dream co-bill? Jeb: Bob Marley and the Wailers. Score: Jeb 3, Tara 4 (Tara would tour with Sheryl Crow). Q: What is Jeb/Tara’s favorite state other than New York? Tara: Tennessee and North Carolina. Score: Jeb 3, Tara 5 (Tara chose North Carolina and nailed Jeb’s two-state answer). Q: Has Jeb/Tara ever turned down a song that you brought to the band? Jeb: Yes, but no one else liked that song either. Q: What song is Jeb/Tara most excited to play on this tour? Tara: “Ding, Dang, Dong.” I think that’s what he’s calling it. The pair knows each other pretty well, it turns out. The stop on Sunday at the Music Farm at 32 Ann St. is the band’s first visit to town since 2008 (Jeb says he’s excited for “the dirt, the air and the people.”). So if you haven’t “Herd of ’em,” here’s your chance to get to know Donna as well as the duo knows each other. Who: Donna the Buffalo with The Believers. Where: The Music Farm, 32 Ann St., downtown. Cost: $15 in advance at www.etix.com, all Cat’s Music and Monster Music locations; $18 the day of the show. Blog Asheville posts from Dreamspider Publicity’s press release: DtB has Asheville ties! Donna the Buffalo bring their trademark hybrid of folk, reggae, Cajun, zydeco, rock and country to The Orange Peel on Thursday, January 28th, 2010. Just so you know, the rhythm section of the band has strong ties to Asheville. Bass Player, Jay Sanders, has lived here for 12 years and has played music throughout these times. He started off as a bass player with Snake Oil Medicine show when they first moved into the WNCScene and played with CX1 for a brief period as well. Jay also plays with Acoustic Syndicate and a Jazz Group called the E.Normus trio. Look for some collaborative projects from him starting late February, Tuesday nights at the Rocket Club . Dave McCracken, the keyboard player, has family ties for generations in Asheville. His father, James, was born a raised here playing music at the Grove Park during his late teens before moving on to Greensboro where he opened a music store. Dave’s grandfather, Cicero Jr. was born in 1911 in town and his great grandfather, Cicero, was a country doctor that rode through Fairview on horseback to treat patients at home. Dave was born in Greensboro to the music scene there and continues to stop through Asheville with many collaborative projects with Hobex, Cyril Lance, Folkswaggin, and Cosmic Charlie. He also was an engineer at Moog in Asheville building analog synthesisers for a little over a year. Vic Stafford, the drummer, was born and raised in Asheville, having even gone to the Biltmore School before it shut down. He has collaborated on projects with Stephanie’s ID, the Goodies, and Kat Williams. Steven Heller from Upstream Productions is one of Vic’s mentors and co-collaborators. He has also frequently does work with both Collapseable Studios and Echo Mountain. Between the three southern men, they reinterpret the older songs of Donna the Buffalo into a new repertoire that sounds lively and fresh, along with adding insight to new music that is written. Doing what they love: The members of Donna the Buffalo connect with fans. Photo by John Darwin Kurc. Donna the Buffalo, that is. 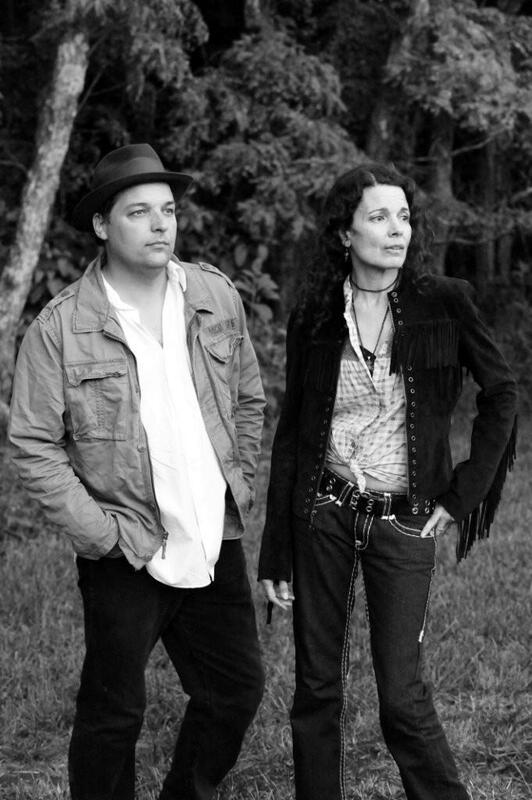 For more than 20 years, Jeb Puryear and Tara Nevins have been among the hardest working musicians in the industry, touring relentlessly with their jammy blend of rock, bluegrass, Cajun, old-time, reggae and roots, releasing nine albums under the Donna the Buffalo namesake, starting their own roots music festival – which is preparing to celebrate its 20th year—and releasing a solo album each. Nevins even spent the past summer touring with former Grateful Dead drummer Bill Kreutzmann’s BK3 and has another solo record in the works. How do they stay sane? But Nevins admits to having difficulty maintaining a normal home life and “sacrificing domesticity” on occasion. Her loft, she says, is “completely insane” with “suitcases and everything thrown in a heap” on the floor. “You go out and find some food to eat, catch up with a few people around your home that you’ve been missing, try to get sleep, pay bills to keep your electricity on, and also work on the new record, all in time to go out on the road 48 hours later,” she says. “It is really hard to find time. Vacuuming, organizing, dusting, all that sort of stuff falls to the wayside. And there is no mistaking the enthusiasm of Donna the Buffalo’s fans, affectionately referred to as “The Herd.” A traveling social network in the vein of Deadheads, the Herd has grown into an entity of its own, following the band across the country, joining them on a week-long cruise to the Caribbean and even forming their own nonprofit, Side to Side Charities, which uses Donna the Buffalo shows to raise money for food banks, women’s shelters and a variety of other social assistance programs. Asheville has plenty of Herd members, perhaps in part because of the band’s longtime local connections. Bassist Jay Sanders (formerly of Snake Oil Medicine Show, also of Acoustic Syndicate) calls Asheville home. Dave McCracken, the keyboard player, has family ties to the area. And drummer Vic Stafford is an Asheville native who’s collaborated on projects with stephaniesid, the Goodies and Kat Williams; works frequently with Collapseable Studios and Echo Mountain Studios, and calls local producer Steven Heller (Upstream Productions) a mentor and co-collaborator. If you prefer to enjoy Donna the Buffalo from the comfort of your own home though, that’s fine too, says Puryear. “You don’t have to do anything to be in the Herd,” he points out. “Except just say that you are. You might not even have to do that. It’s not like a club you have to join or be in or out. You just have to enjoy the music. But it’s easy for Puryear to be self-deprecating with such a devoted following. As the music industry has struggled to adapt to the changing landscape of the digital age, Donna the Buffalo has managed not only to stay afloat, but to become a veritable musical institution. It might seem that two decades playing with the same band could get stale, but both Puryear and Nevins are quick to debunk that theory. Partly because of their ever-changing lineup and involvement with projects like the Finger Lakes Festival, but mainly, says Nevins, because they love what they do. Puryear shares a similar sentiment, when asked whether he would have expected to be playing so long. Led by Nevins and fellow vocalist, songwriter and guitarist Jeb Puryear, the band’s uptempo blend of rootsy folk and traditional mountain music has built a widespread following in this region. Nevins’ and Puryear’s string band background has led to many Asheville connections over the years, and the current rhythm section also has strong ties to the city. Drummer Vic Stafford is a native, bassist Jay Sanders has lived in town for 12 years, and keyboard player Dave McCracken once built synthesizers at Moog Music. The group, which recorded much of its most recent release, “Silverlined,” at Echo Mountain Studios, returns to Asheville on Thursday for a gig at The Orange Peel. Nevins spoke to take5 while driving with the band to New Hampshire for a show alongside Little Feat. How have recent lineup shifts affected the band’s music? It’s made a really great new rhythm section. Our grooves have gotten tighter, and our jams more exciting. It’s an awesome foundation to play and sing on top of. Right now, we’re pretty much in the pocket from the start rather than five or six songs in. They’re awesome players and great guys. How do you characterize the band’s multifaceted sound? It’s really hard to describe. It’s very roots-oriented Americana or original danceable folk rock with ties to different traditional music, such as old-time fiddle music, zydeco and country. I grew up listening to pop music, so it’s also pop infused with tradition. After all these years, you’re also playing duo shows with Jeb. How’s that going? It’s been great. We usually do them in small settings, so the fans, or “The Herd,” love them because they’re intimate. It’s a challenge — you have to be on your toes. It’s kind of cool to hear (the songs) pared down. It’s a nice musical challenge. What can folks expect at the Thursday show? We’ll do our usual — we never make a set list. We’ll play some from “Silverlined,” some new things and some old favorites. Who knows — we might have a guest star show up. What’s your reaction to the 20-year success of New York’s GrassRoots festival? It seemed like a cool thing to do when we started it. But you don’t know where it’s going to go. I can’t believe it’s been 20 years and how far it’s come. It just grows a little bit every year. We’re just the host band. It’s held up by hundreds of volunteers. DTB is always on the move. What’s on tap for 2010? We hope to be doing more with Little Feat. We’ll also be touring with some other folks that we can’t mention yet. We’ll be traveling out West, working on new material, going to lots of regular festivals and some new ones. It’s a really full schedule. In your latest CD, what was the cloud that turned out to be “Silverlined”? There was a lot of change happening. As hard as change can be, there can be a silver lining to it. In the course of 20 years, we’ve run into a lot of silver linings. Flynn writes about entertainment for take5. E-mail mickfly@bellsouth.net.